It has been a long time since I had availed of those discount vouchers being sold by a lot of online companies. 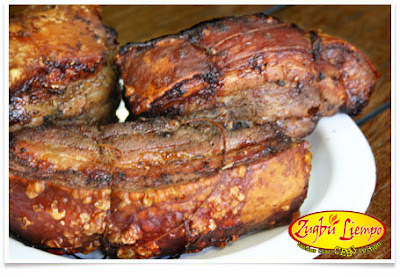 The other day, I saw an item from Ensogo which sells a P300 voucher from Zugbu Liempo for P150. 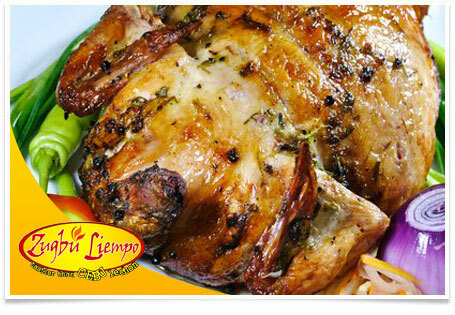 A sucker for lechon manok and liempo and remembering that I still had P100 credit earned from Ensogo for a referral previously made, I purchased a voucher via Bancnet. With the use of the P100 credit, my total payment amounted to only P50. I was informed via email that the voucher is already available a day after I made the purchase. It is valid for redemption from November 3 to December 14, 2011 and February 1 - 29, 2012. Now, all I need is an occasion to use the voucher.